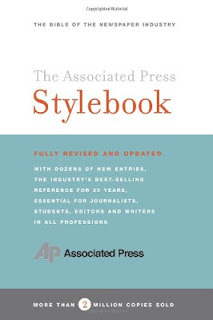 The Associated Press today added an entry on mental illness to the AP Stylebook. “It is the right time to address how journalists handle questions of mental illness in coverage,” said AP Senior Vice President and Executive Editor Kathleen Carroll. “This isn’t only a question of which words one uses to describe a person’s illness. There are important journalistic questions, too. "mental illness Do not describe an individual as mentally ill unless it is clearly pertinent to a story and the diagnosis is properly sourced. When used, identify the source for the diagnosis. Seek firsthand knowledge; ask how the source knows. Don’t rely on hearsay or speculate on a diagnosis. Specify the time frame for the diagnosis and ask about treatment. A person’s condition can change over time, so a diagnosis of mental illness might not apply anymore. Avoid anonymous sources. On-the-record sources can be family members, mental health professionals, medical authorities, law enforcement officials and court records. Be sure they have accurate information to make the diagnosis. Provide examples of symptoms. Mental illness is a general condition. Specific disorders are types of mental illness and should be used whenever possible: He was diagnosed with schizophrenia, according to court documents. She was diagnosed with anorexia, according to her parents. He was treated for depression. - Autism spectrum disorders. These include Asperger’s syndrome, a mild form of autism. Many experts consider autism a developmental disorder, not a mental illness. Do not use derogatory terms, such as insane, crazy/crazed, nuts or deranged, unless they are part of a quotation that is essential to the story. Do not assume that mental illness is a factor in a violent crime, and verify statements to that effect. A past history of mental illness is not necessarily a reliable indicator. Studies have shown that the vast majority of people with mental illness are not violent, and experts say most people who are violent do not suffer from mental illness. Avoid unsubstantiated statements by witnesses or first responders attributing violence to mental illness. A first responder often is quoted as saying, without direct knowledge, that a crime was committed by a person with a “history of mental illness.” Such comments should always be attributed to someone who has knowledge of the person’s history and can authoritatively speak to its relevance to the incident. Avoid descriptions that connote pity, such as afflicted with, suffers from or victim of. Rather, he has obsessive-compulsive disorder. Double-check specific symptoms and diagnoses. Avoid interpreting behavior common to many people as symptoms of mental illness. Sadness, anger, exuberance and the occasional desire to be alone are normal emotions experienced by people who have mental illness as well as those who don’t. Wherever possible, rely on people with mental illness to talk about their own diagnoses. Use the term mental or psychiatric hospital, not asylum. See Asperger’s syndrome; disabled, handicapped; phobia; post-traumatic stress disorder."